1. 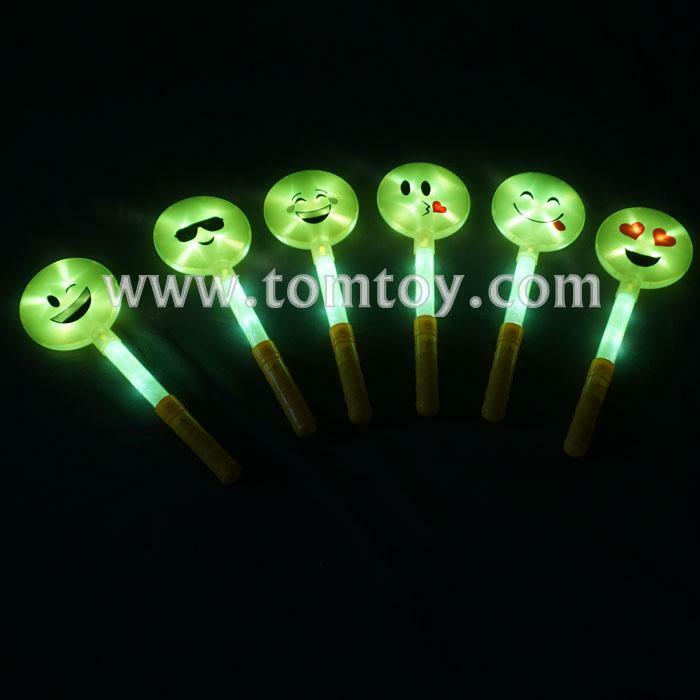 Emoji face led light up wand. 2. Features 3 flash mode, fast flashing, slow flashing and steady on. 3. Simply press the button and watch the spinning light show begin! 5. Great party favors for kids and adult birthday and events ! 6. Customized Design is easy to imprint on the face.